Ask your average North American about Australia, and they’ll probably recite a line from the movie “Crocodile Dundee” or try and talk like the Australians they hear in Outback Steakhouse advertisements. However, what most North Americans likely don’t understand is the treacherous nature of an Australian cross-country drive, as any East-West cross-country drive in Australia involves spending time in the outback. 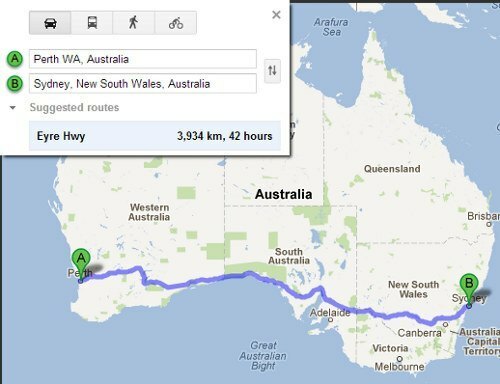 Thinking about driving across Australia? Google says it only takes 42 hours…and that’s really, really ambitious. The outback is very rugged territory. 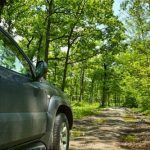 It’s rarely traveled and sparsely populated, so there are broad areas in which drivers may will not see any service stations, rest stops, or even any other drivers. Therefore, planning is pretty important. Here’s what Aussies do when it’s time to drive from Sydney to Perth. Plan stops every two hours – Stopping to rest both driver and car is important especially when the weather is hot. Vehicles can easily overheat when travelling through the outback. Since many of the roads in Australia are straight and flat, it is easy to suffer from fatigue and even hallucinations after long periods of driving without breaks. Plan petrol stops – Planning stops at petrol stations (gas stations) is particularly important when travelling through the outback where the density of towns is very low. Use a map or travel guide that displays fuel stations including information on the types of fuel offered. Even in non-outback areas, petrol stations may be in short supply, so be extra cautious in making sure you have enough gas to reach your destination. You many also want to carry an emergency portable fuel container. Also remember that getting a vehicle serviced in remote areas is difficult, especially if the vehicle you’re driving requires special spare parts. Choose simple popular vehicles (again, the Hilux is a great choice here) instead. Keep your vehicle from overheating – Temperatures in the outback can become extreme, so it is important that the car or other vehicle has a properly working cooling system. During stops check water and coolant levels, and the fan belt. Also, monitor the engine temperature regularly while driving. If the vehicle looks like it is getting too hot, try turning off the air conditioner and opening the windows instead. Before engine temperatures reach dangerous levels, stop driving. It’s better to sit and cool off on the side of the road than it is to “push” it, as pushing could cause a coolant system failure, a loss of coolant, etc. Bring drinking water and other supplies – Because of the extreme temperatures in many locations of Australia, it’s important to keep highly redundant water supplies with you while travelling. Bring a good general emergency kit equipped with matches, compass, medical supplies, etc. Consider renting a satellite phone – In many remote areas, there may be no mobile phone access. As a precaution, you can consider renting a satellite phone that bounces signals off reflectors in space orbit. Other options include carrying a traveller’s HF radio pack or a distress radio beacon. Check weather forecasts – Dust storms and flash floods are common in the outback, while in the north, there is the possibility of tropical cyclones. Generally, it is better to be safe rather than sorry because you may have difficulty getting help when stranded in severe weather conditions. Make sure to respect road closures and to select alternate routes instead. 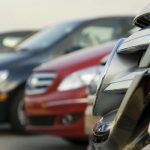 Why Do People Drive Without Insurance?